Thank you for visiting Vyncs from the referral link. We will offer a $5 discount during checkout. 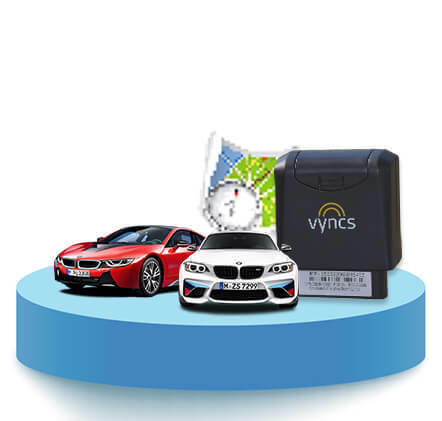 Just go to Purchase - Vyncs GPS Tracker and purchase a new package. For security reasons, your session will expire after 20 minutes. After which, you will need to click on the referral link again to start a new session. vehicle health, roadside assistance and a lot more. Best Rated and Best Seller! 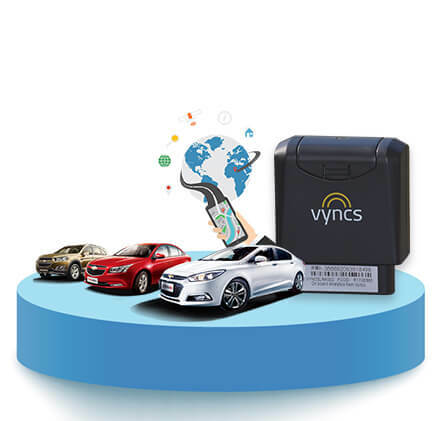 Vyncs Basic is our entry level 3G real-time GPS tracker that helps you track your teen drivers, kids, and family members in real-time and keep them safe. We also offer Vyncs Fleet for commercial fleets. Vyncs Basic comes with 3 minutes GPS update. But you can upgrade to 60/30/15 seconds GPS updates from inside your account. Tracking features include trip logs, last known location on the map, zone entry/exit alerts, and start/stop locations on the map. It has many more features like vehicle OBD diagnostics, alert notifications, driving report cards, battery health status notifications, and vehicle-emission score to improve driving experience. 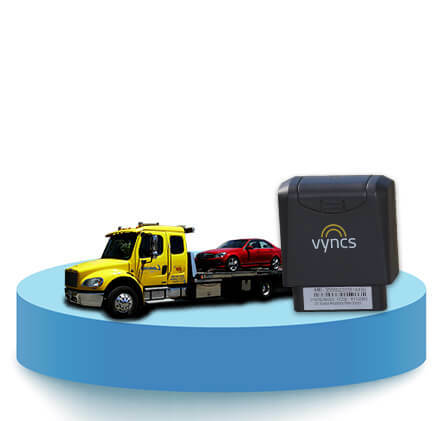 Vyncs Premium is equivalent to the Vyncs Basic GPS tracker along with one-year of roadside emergency assistance (available only in USA, Canada, and Puerto Rico). It Includes 24/7 roadside assistance, free towing, winching, lost key/lock-out services, fuel delivery services, and many more. Think about how much it costs to purchase such a package from a motor club. Give Vyncs Premium a try and you will love it. Vyncs Pro is Vyncs Basic GPS tracker with 60 seconds GPS update and Live Map Auto Refresh (map automatically refreshing as new GPS data comes in). If you are not happy with 3 minutes GPS update and manually reloading the map page every few minutes then get Vyncs Pro. Just sit back, relax, and watch the map page update automatically as data comes in. 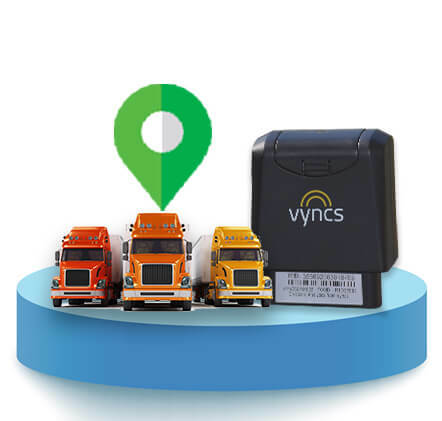 VyncsFleet is our 3G real-time GPS tracker and the fleet version of Vyncs with many features for commercial fleets and support for more than 5 vehicles. VyncsFleet supports fleet dashboard, allows data download, fuel cost tracking, scalable software and powerful infrastructure for fleets. VyncsFleet supports multiple sub-fleets with multiple managers and access control. No Monthly Fee. Year of Free Services. No Contract. Real time location. Trips. Vehicle movement direction. Geo fenced zones. Live Maps. Trip replay. Street address on the map and trip table for ignition on/off points. Set Geo Zones. Get push notification, email, and SMS alerts. Device tampering alert. Speeding alert. Zone arrival/departure alerts. Rapid acceleration alert. Speeding locations on the map. Curfew alert for selected time-zones. Vehicle idling location reporting on the map. Driver scoring. Vehicle OBD code reporting. Vehicle manufacturer issued recall notices. Battery health notifications. Vehicle-emission score. Vehicle maintenance reminders. Custom vehicle maintenance reminders. Fuel cost reporting. Vehicle health scoring. Gas mileage. Fuel system monitoring codes. Fuel cost reports. Fuel level reports. Personalized fuel-saving tips. Emission report. Fuel scoring. Subfleet creation with layered access control for large fleets. Supports multiple drivers for a single driver. Multi user accounts. Fleet dashboards. Stop time reporting. 24/7 roadside assistance in USA, Canada, and Puerto Rico. Includes free towing, winching, lost key/lock-out services, fuel delivery services, and many more. *Features supported whenever the corresponding data parameters are supported by the vehicle manufacturer through the open OBD-II protocol. Not every Vyncs model supports all features. "I like my GPS Tracker Vyncs so much"
I like my GPS Tracker Vyncs so much! No monthly fees no need to charge so easy to install and track your car wherever it goes. This is by far the best GPS tracker I could find ESPECIALLY since there is no monthly or annual fee to get the every 5 min reports. Works surprisingly well. Great value for the money. Tracking works well. OBD features works as well. It notified me when my catalytic converter was malfunctioned. It works it works well and there are no additional fees. What more could you want? I suppose it could have an OBD pass-thru and be smaller but this thing is great as is. Rating 4.84 out of 5 based on 491 reviews on Verified Reviews 360. Each plan includes a device, SIM card, one year of data plan, and year of free services.